Matthew Bink capped his title-winning 2018 Boost Mobile Supercars e-series with a victory, following a thrilling fight in the Bathurst final. Bink, who competes as MadRacer38, sealed the crown with an event remaining on November 13, securing the grand prize of $2,000 cash and a $500 Harvey Norman gift card. Adrian Yalpi (UltimateAge05) pushed Bink in two of the three races of the finale to seal second in the championship, ahead of Andrew Dyson (Ssemper). The 22-year-old's victory lap included two more wins, at Suzuka from pole and at Bathurst, and a second at Monza. "I got a pole position, I'm thrilled!" Bink, whose previous-best qualifying result was fifth, said. "Adrian's great to race against, it's always clean and fair, like we saw at the end of the Bathurst race. "There was a little bit of a bump into Turn 1 but he's fair about it, so he let me stay in front and kept looking for a move. "It's awesome to have a battle with such a quality racer. "He's always very fair, we both know our strengths and weaknesses on track, he would've been looking for any option. "With two laps to go, I hit the wall at the top and it was getting a bit tight. "For the rest of the year, my focus is on having a good weekend in the Excels in December, enjoying the Newcastle race this weekend, it should be a good title fight." Bink was the only driver to turn a 2:07s lap in Suzuka qualifying and then led from start-to-finish at the Japanese Grand Prix venue. He had to withstand pressure from Yalpi, crossing the line three tenths clear, while Dyson grabbed third. From eighth in the reverse-grid Monza race, Bink was up to third by the end of the first lap and then pitted. 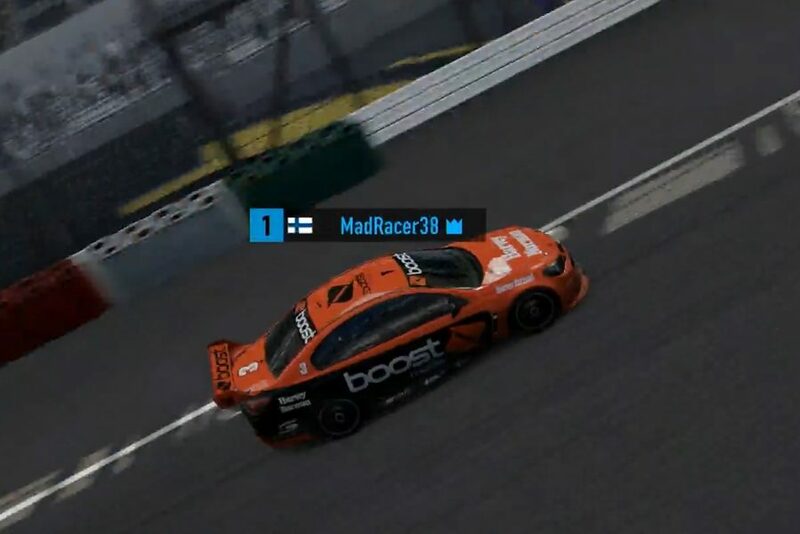 Matthew Collings (holden96) moved into the lead on lap four of the 10 and held on to take his maiden e-series win over Bink. "It was pretty much my goal going into it, to get at least one race win," Collings said. "Even though it was a reverse-grid, I'll take it. "Starting second, there's not many corners to pass, I just had to get it right every time." 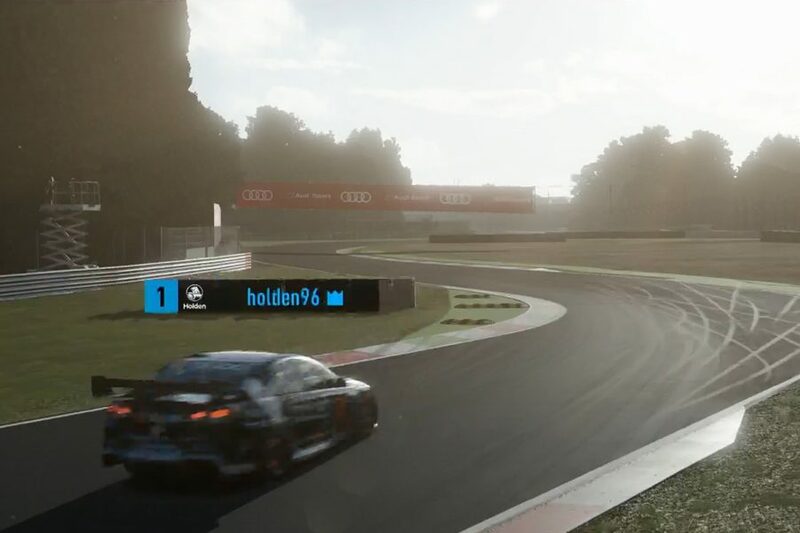 Bink converted pole at Bathurst into an early lead, but emerged from his pitstop on lap four with Yalpi right behind. 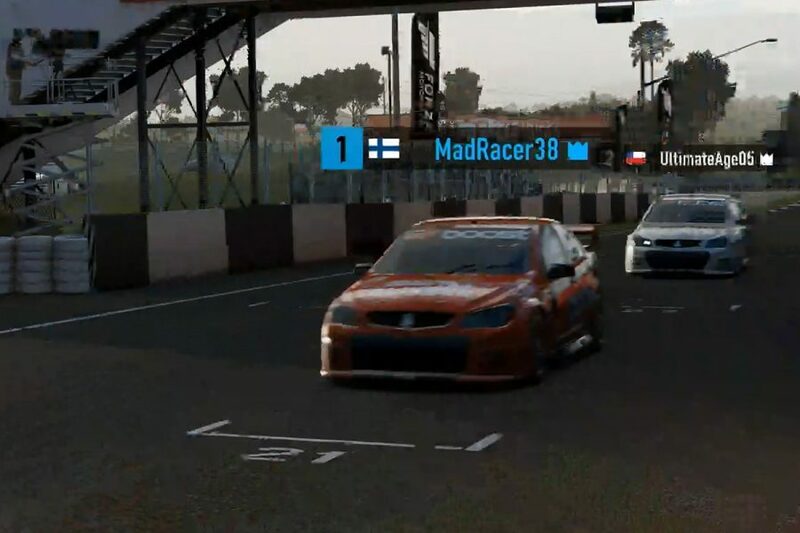 That was how they stayed for the remaining five laps, in a repeat of Race 3 of the season, despite Yalpi's best efforts. A 10th victory and 15th podium from 18 races ultimately went Bink's way by 0.4 seconds to finish 74 points clear in the standings. Yalpi did, though, seal second in the championship and $1,000 cash and $400 Harvey Norman gift voucher. Dyson was third in the Bathurst final and in the standings, and wins $500 cash and a $350 Harvey Norman gift voucher. While Dyson won more races than Yalpi – three to two – a haul of 12 podiums to 10 helped the latter emerge on top. The winner of the Harvey Norman Challenge at Bathurst in 2017, Jacob Harvey (Har05) took fifth, ahead of Mark Pretty (XE Mr Bucket), Collings, Jonathon Burrows (TDi Zools80) and Zachariah Donaldson (Supraman162). Supercars is set to announce details of the 2019 e-series in the new year.